At 9:00 p.m. Monday evening, March 15, 1926, fire was discovered in the rear of Budds Grocery & Meat market. P. S. Stanforth of the firm Strong & Stanforth, turned in the fire alarm. By the time the Sunbury Fire Department responded it looked like the entire east side of the square was gone. The flames fed by a strong west wind spread rapidly and leaped and lashed high into the heavens, threatening the entire village. Delaware and Westerville fire departments answered the S.O.S. call for aid and with the Sunbury department, seven streams of water were kept on the fire for several hours and brought it under control. Fortunately, Sunbury had installed a water system the year before which allowed the fire departments to control the blaze. 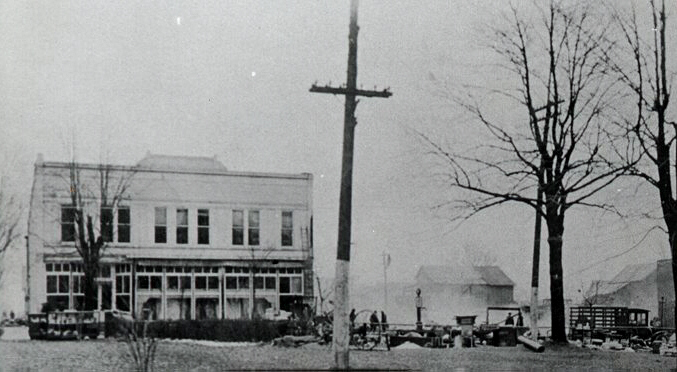 The following day, only foundations remained of the seven businesses burned out by the fire. 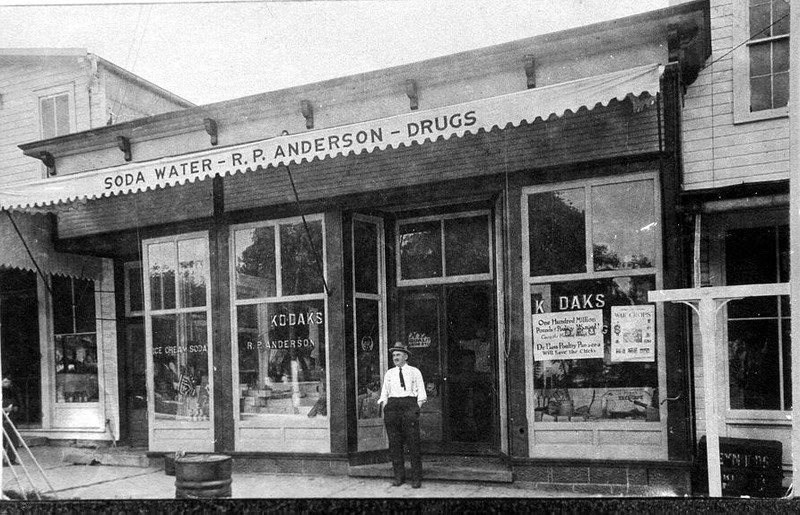 Those lost were Strong & Stanforth, hardware; R. P. Anderson, drug store; Budds Grocery & Meat Market; Lake & Wintermute Barber Shop; Franklin Sparks, dry cleaning and pressing; H. W. Stone, barber shop; John Williamson & Sons, auto & implement dealers; the U.S. Post office; Dr. C. D. VanHouten, dental parlor and D. M. Cupp, private garage. Several other nearby buildings were damaged by fire, water and smoke. The lost was estimated at $150,000, only partially covered by insurance. Thousands of people from all sections of the state viewed the ruins Sunday. The crowd began coming early in the day and in the afternoon the village was crowded with sightseers. The Post Office was temporarily located in Skeels grocery building. 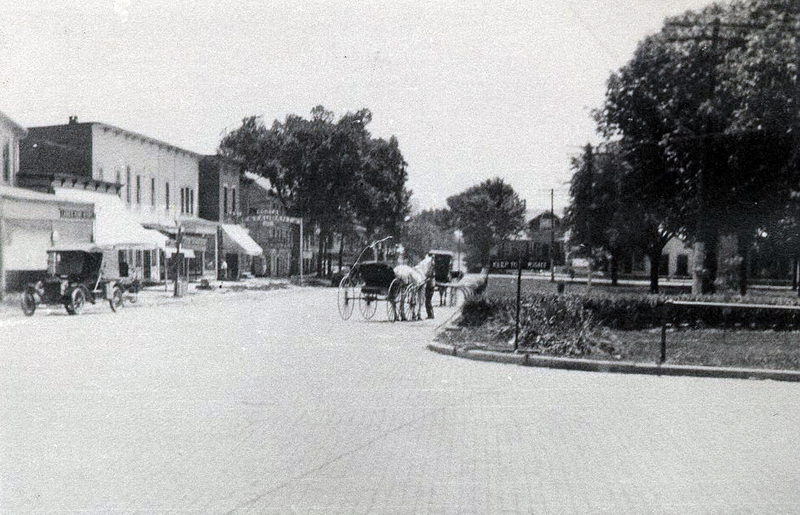 "Most of the property owners are making plans to rebuild and we are confident they will build for a bigger and greater Sunbury," reported The Sunbury News of March 18, 1926.